A year ago, a team of four KAUST master’s degree students joined efforts to build a startup that aims to serve the dairy industry in Saudi Arabia. 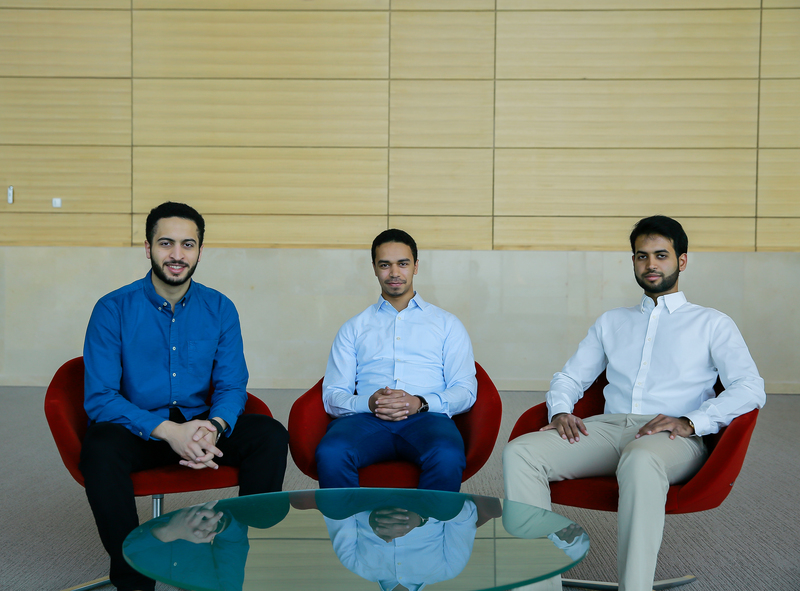 Co-founders Suhaib Amer, Faisal Alhindi, Hamzah AlAhmadi and Albaraa Aseeri named their startup after the Arabian oryx, calling it Al-Maha Systems. The KAUST startup won first prize in the recent Asbar World Forum‘s Innovation Challenge held in Riyadh. “We were invited to represent KAUST in Asbar World Forum for the innovation prize,” said Amer, a mechanical engineering student at KAUST. “We are focused on the impact we can make as a startup. We can make a difference through creating jobs and being a technology company. We have scale-level solutions and we have an export potential in addition to the significant economic return the startup can contribute,” he added. Al Maha Founders: Suhaib Amer, and Faisal Alhindi, and Hamzah AlAhmadi. Al-Maha Systems works at the crossroads of the Internet of Things (IoT) and animal husbandry. The team provides monitoring and analysis of data for livestock aimed at increasing the efficiency of dairy farms. It utilizes the latest technologies in the field of sensing and communication in order to guarantee continuous and effective monitoring for the herd. 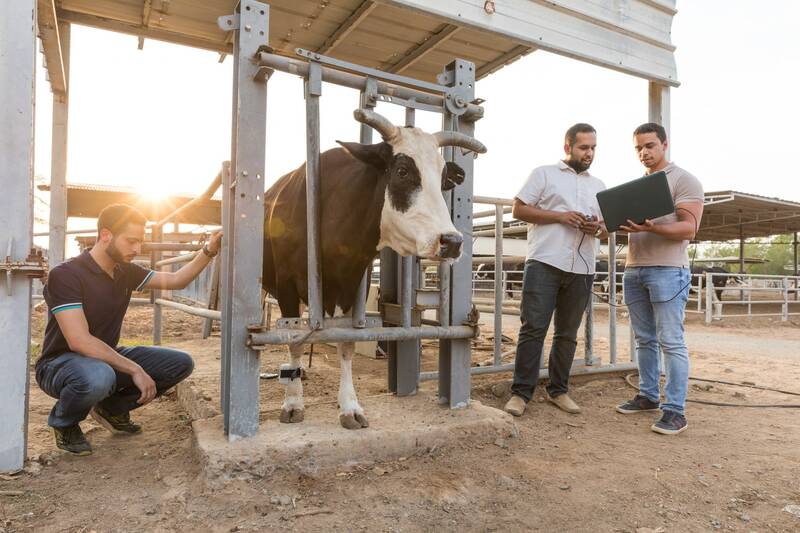 “We take sensors and we place them on cows to monitor their health,” said Alhindi, an electrical engineering student at KAUST. The devices collect vital data such as heart rate, body temperature and rumination and sends the data to a cloud-based server. “The aim is to detect problems ahead of time and to detect the breeding time,” he added. The project started after the team took a class with Gordon McConnell, head of the KAUST Entrepreneurship Center. At the beginning of the class, the team took one of the patents at KAUST and thought of how to commercialize it. The co-founders found ideas to pursue as real startups, not just a class project. “KAUST played a significant role in mentoring us. The University offered help in several obstacles that we faced—particularly in building business plans, as well as in making connections, which made it easier for us to reach out to clients,” they said. The team credits the Entrepreneurship Center, which is part of the KAUST Innovation & Economic Development department, for helping them get their project up and running. This entry was posted in Entrepreneurship and tagged Al Maha, Startups. Bookmark the permalink.